This week has really been dragging along for me. I hope yours has been better! 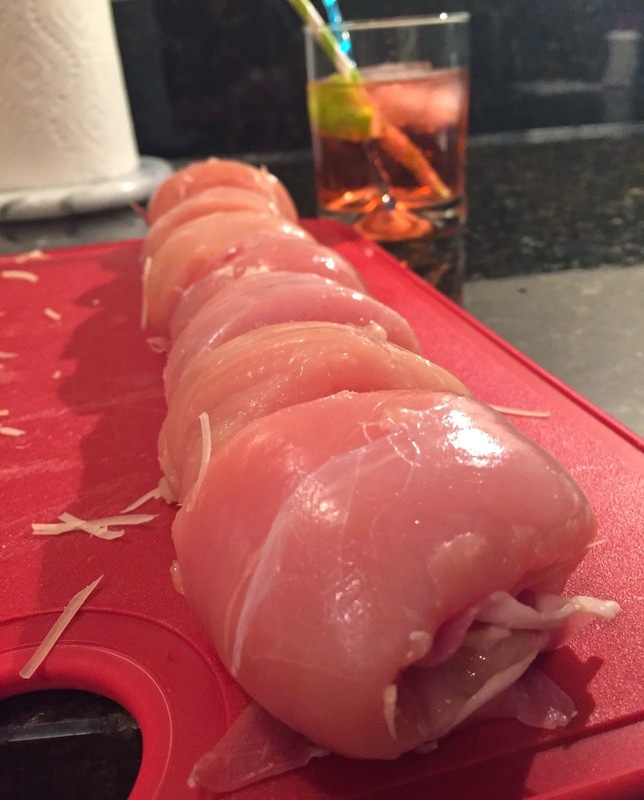 Today I am sharing an extra yummy recipe I created last week: Chicken Cordon Bleu Roll-Ups. Those that follow along on Insta already heard me rave about this meal once, so now I am excited to post the recipe. I initially got the idea for the meal from this recipe, however, took it in my very own direction! 2. Rinse chicken and cut away excess fat. Dry with paper towel and season with salt and pepper. 3. 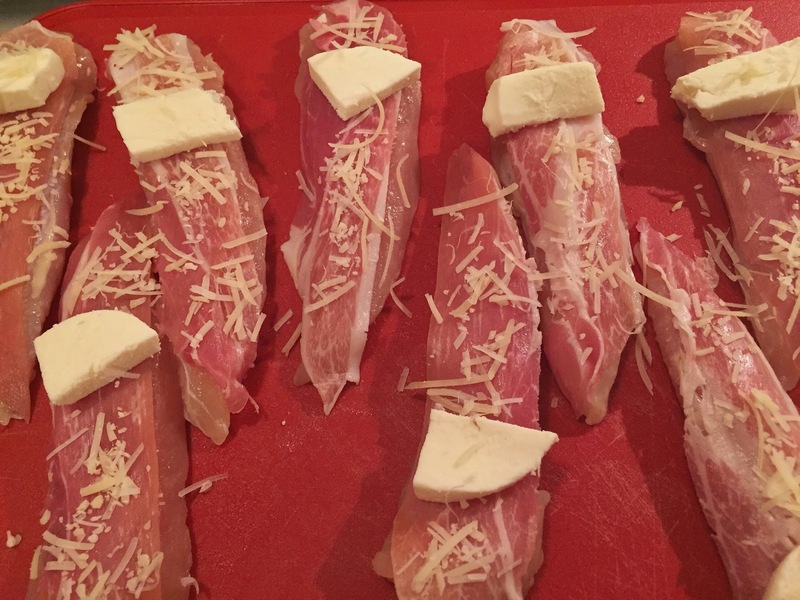 Cut prosciutto slices in half, to the shape of chicken tenderloins, creating 8 pieces total. 4. Slice mozzarella into small, but thick slices. 5. Place prosciutto and mozzarella on chicken tenderloins and sprinkle with parmesan cheese. 6. Roll chicken tenderloins up, tightly. 7. Flour a cutting board and roll puff pastry out on it. 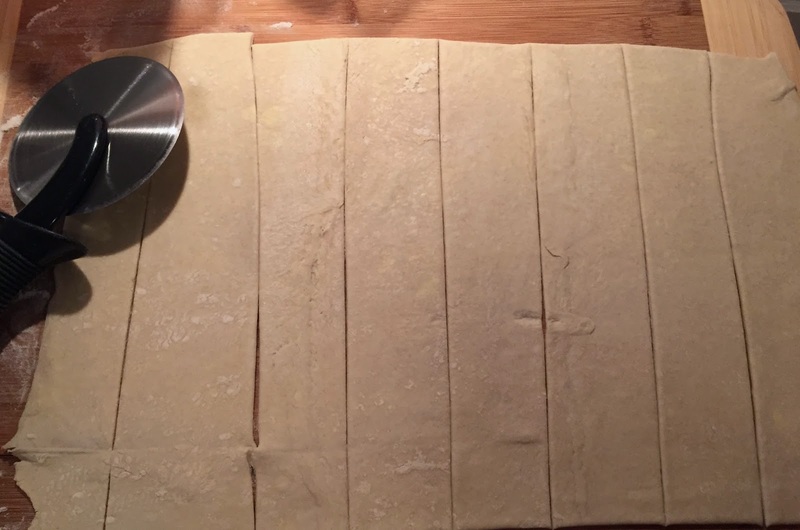 Slice puff pastry into 8 slices (I find using a pizza cutter is a great way to do this!). 8. 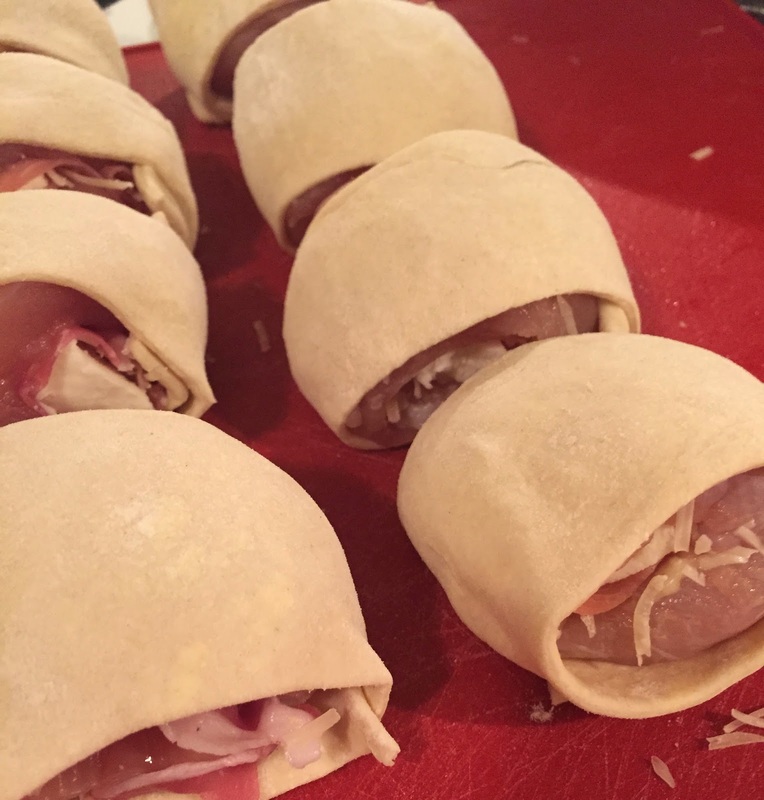 Roll the puff pastry around chicken roll-ups, pressing down at the seam to seal. 9. Coat with beaten egg and season as desired (I sprinkled with an Italian herb blend seasoning and pepper). 10. Cook in a greased baking sheet at 400F for approximately 25 minutes or until puff pastry becomes golden brown and chicken is cooked through. when paired with caesar salad! What's been cookin' in your kitchen lately? What are your go-to light meals? Those look really good - and photographed well, too! I may have to do a gluten free adaptation of this recipe as I love cordon bleu. These look seriously delicious!! I have to try!! Ok definitely making these soon! Yum. Love a puff pastry anything! Oh my YUM! These look amazing. I love to make a salmon on top of a salad for a light-yet-filling meal. Lettuce wraps are another go-to for me. 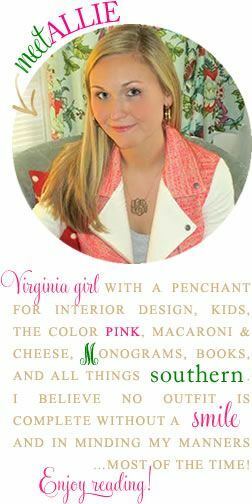 Thanks for sharing, I want to try this recipe soon! Yum. This would be a wonderful finger food for a party, too! Oh my goodness - this looks so yummy!! This looks so good! I generally don't Chicken Cordon Bleu, because I don't like swiss cheese, but since you used mozzarella it looks great!